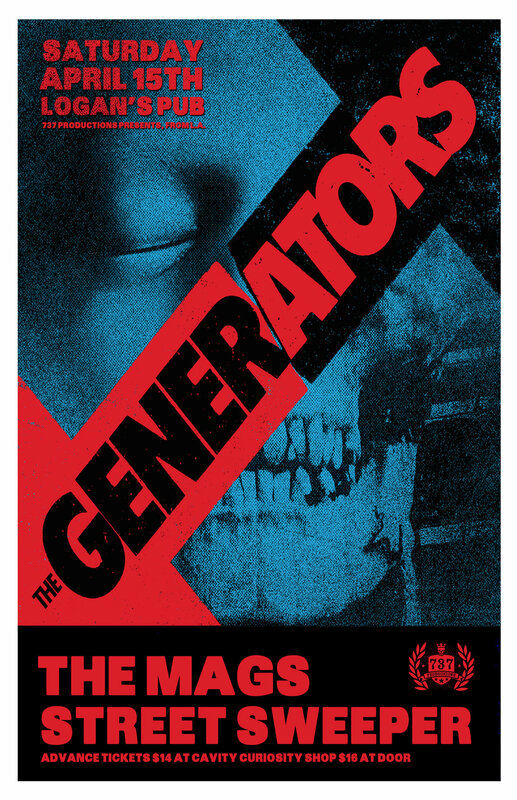 737 Productions proudly presents the return of the legendary one and only The Generators from Los Angeles. Long running streetpunks the Generators have toured all over the world. Last year saw them release a greatest hits compilation on Randaleshop/Randale-Records entitled "Earn Your Stripes". This was followed with a couple western Canadian tour dates and TWO European tours, plus of course multiple jaunts around the USA. The album features several brand new songs, and their most popular tunes from the last 20 years. Warming up the stage for the Generators will be local high energy favourites The MAGS! Always a fun time these guys are! Also coming to town for this bill will be Ucluelet's STRT SWPR. These skater/surfer dudes from out in the mist put the skateboarding back in skate rock. Advance tickets $14 available online at http://www.universe.com/thegeneratorsvictoria2017 and at CAVITY Curiosity Shop soon.